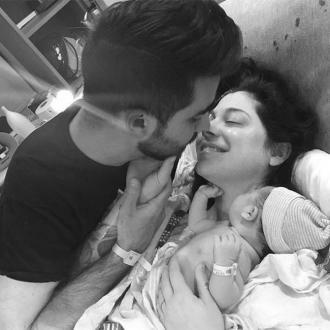 Christina Perri and her partner Paul Costabile - who are expecting their first child together - have tied the knot after becoming engaged in June. Christina Perri and her partner Paul Costabile have tied the knot. The 'Thousand Years' hitmaker and the entertainment reporter - who are currently expecting their first child together - have officially taken the step to becoming husband and wife, after they held their nuptials on Tuesday (12.12.17). 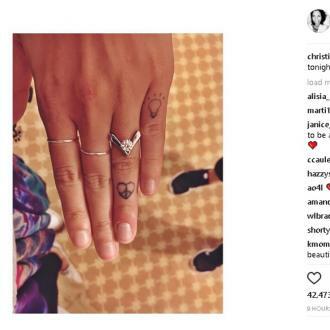 Christina, 31, announced the news on Instagram with an adorable snap of he pair dancing together. And Paul, 30, wasn't shy when it came to gushing over his new spouse on social media either, as he also took to his photo sharing account to post a glowing tribute to his ''dream girl''. The couple announced their engagement in June this year, and two months later in August, they revealed they are expecting a child together. 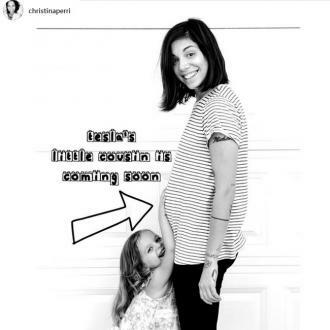 The 'Jar of Hearts' hitmaker shared a picture of her from a side profile to show of her growing baby bump, whilst her three-year-old niece Tesla is captured touching her swelling belly whilst smiling. And across the image it had the words ''Tesla's little cousin is coming soon (sic)'' emblazoned across the top with an arrow pointing to the brunette beauty.